The following comments about attractions in Seoul have been posted from individuals. We believe that the best reviews of Seoul, South Korea are written by travellers and holiday makers who have experienced Seoul first hand and want to share their thoughts. Can you share yours? 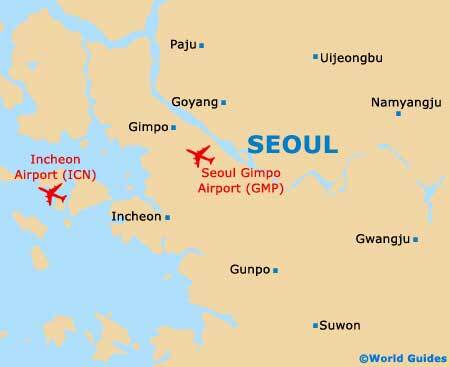 Please help us expand this section of our Seoul World Guide. Let us know what you think about the attractions in Seoul, South Korea. Submit comments about Seoul attractions here. As my father was a veteran, the Korean War and its history has always been an interest of mine with no better place to learn more on it and Korea's other conflicts than the War Memorial of Korea. A truly moving experience even for those without any attachment to the wars of South Korea. Glad to hear you enjoyed the Leeum Museum. Did you walk at Cheonggyecheon? As with most Asian super-cities, there weren't many places for me to enjoy a nice, scenic walk in Seoul. Cheonggyecheon was an exception to the rule however and has been completely transformed after once being completely polluted and covered. Art, history, and bodies of water can all be enjoyed here. It was too easy for us to be sucked in by Seoul's endless skyscrapers and neon but a chance to sample what the city was like before technology took over fell at our feet at Samcheon-dong Bukchon. These traditional houses are a pleasant surprise for architecture lovers and those interested in how old Seoul was. An intriguing concept at the MyeongDong NANTA Theatre, just six miles from Seoul city centre. This is where we watched the performances of a talented Korean troupe preparing food for us to a soundtrack of various percussion instruments. Most taxi drivers will know this place. There aren't many places where art enthusiasts and technology buffs can be pleased at the same time, but the Leeum Samsung Museum of Art is definitely one of them. The children's section made this attraction appropriate for our young ones too.